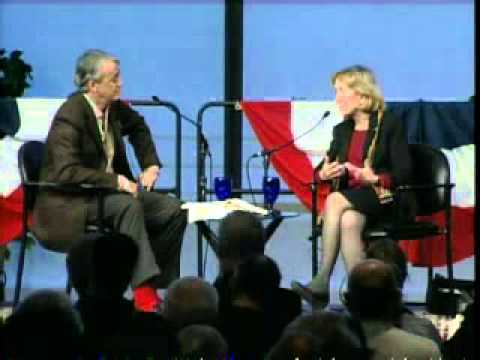 Speakers Bureau co-founder, Bernie Swain, and Pulitzer Prize–winning historian, Doris Kearns Goodwin, discuss Swain's book, What Made Me Who I Am, a collection of profiles on thirty-four remarkable leaders, including Goodwin, and the influences that shaped them. Doris Kearns Goodwin, a former Harvard professor and Woodrow Wilson Fellow, is the author of several New York Times best-sellers, including No Ordinary Time: Franklin and Eleanor Roosevelt, which was awarded the 1995 Pulitzer Prize in History and her latest book, Team of Rivals: The Political Genius of Abraham Lincoln. She is the recipient of the Charles Frankel Prize and the Sara Josepha Hale Medal. She was the first woman journalist to enter the Red Sox locker room and has been a consultant and on air-person for PBS documentaries on Lyndon Johnson, the Kennedy family, Franklin Roosevelt, Abraham and Mary Lincoln, and Ken Burns' The History of Baseball. Currently an NBC News analyst, Ms. Goodwin lives in Massachusetts. Over the past 35 years, Bernie has represented 3 of last 4 US Presidents, the last 4 prime ministers of Great Britain, 5 Secretaries of State and countless world and American leaders. He has also represented numerous business executives, public figures, media leaders, and sports legends. Bernie considers himself among the fortunate few entrepreneurs who has not only started a business but developed it into the industry leader -- on the strength of handshakes. He has learned a great deal about failure, success, and personal leadership along the way. Bernie has captured it all in his pending book, What Made Me Who I Am, available everywhere in September 2016.